Anthony Hughes averaged 17.0 points over two UMSL wins last week, including a career-high 22-point outing in the Tritons’ thrilling come-from-behind win over William Jewell on Saturday. UMSL ran its win streak to five games with two more victories last week, improving its record to 17-4 overall, the program’s best start since 1971-72. The Tritons defeated Rockhurst 75-59 last Thursday before edging William Jewell 86-84 on Saturday. In that contest, UMSL ended the game on a 19-1 run, capped with the final six points in the last 18 seconds, after trailing by 16 with 4:25 to play. Sophomore Anthony Hughes averaged a team-best 17 points over the two games while shooting 63.2 percent (12 of 19) from the field, including a sizzling 70 percent (7 of 10) from 3-point range. He had a career-high 22 points in the thrilling win over William Jewell. The Tritons (17-4, 8-3 Great Lakes Valley Conference) open a four-game road trip this Thursday at Missouri S&T before traveling to Drury on Saturday. 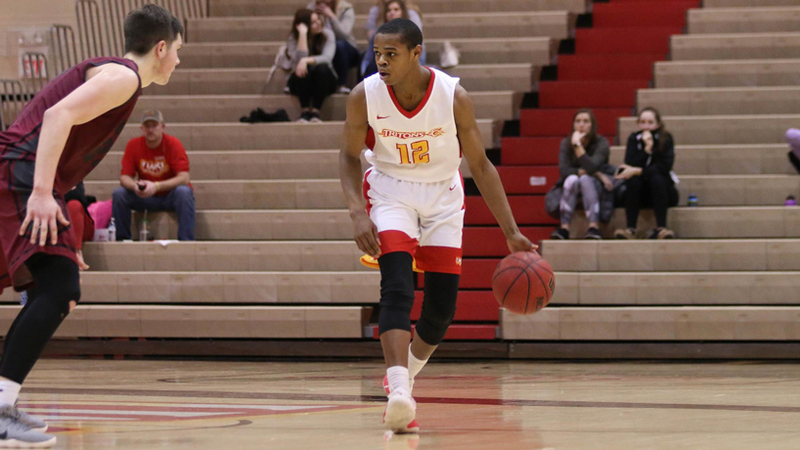 UMSL picked up wins over Rockhurst (71-65) and William Jewell (68-60) last Thursday and Saturday to move its winning streak to three games and its home record to 9-3 for the season. Senior Arielle Jackson averaged 19.5 points, 2.5 rebounds and 2.5 assists over the two games and had her sixth 20-plus scoring outing of the season with 26 points in the victory over Rockhurst. The Tritons (11-9, 5-6 GLVC) will play their next four on the road, beginning with games this week at Missouri S&T on Thursday and at No. 1-ranked Drury on Saturday.